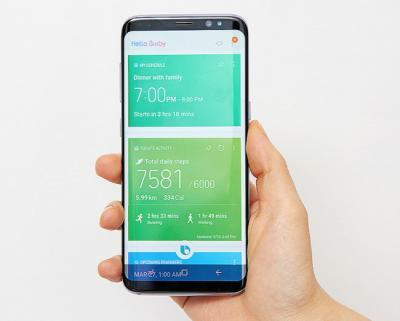 Samsung's latest flagship phones, the Galaxy S8 and Galaxy S8+ are not shipping yet, but according to reports that early reaction from retailers suggest that the larger S8+ variant is more popular than expected. Samsung first aimed to produce 50% more Galaxy S8 variants than Galaxy S8+, but have decided now to increase the ratio of S8+ devices to 45%. The new phones will start shipping globally on April 21th. The Galaxy S8+ has a 6.2" 2960x1440 (529 PPI) curved flexible Super AMOLED display, while the S8 is slightly smaller at 5.8" (the resolution stays the same and the PPI is 570). DisplayMate says that these are the best mobile displays ever tested.